When Jesus Was a Green-Eyed Brunette weaves heartwarming and miraculous stories of Jesus showing up in ordinary people, revealing that He knows us and is fully present in our everyday circumstances, especially in our difficulties. Those hurting and weary from worn-out religion are longing for a fresh touch from the living Jesus. Best-selling author Max Davis challenges us to do more than simply receive God’s grace–we need to allow grace to soften, change, and shape us. 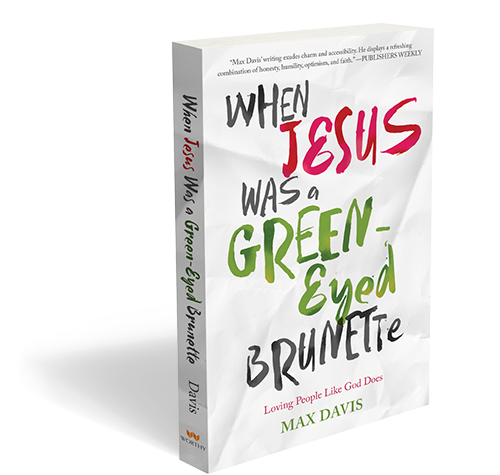 As you read this book, you will laugh, cry, and come face-to-face with the living Jesus, much like Davis did, when he found Him living in a green-eyed brunette. Max Davis is the author of over 20 published books and has been featured in USA Today and Publishers Weekly, and has appeared on TODAY and The 700 Club. He holds degrees in journalism and biblical studies and is a much-sought-after speaker for churches and organizations worldwide. He and his wife, Alanna, live on forty beautiful acres, under an umbrella of oak trees, in Greenwell Springs, Louisiana. I love this book! I love how Max Davis challenges you to rethink how the experiences we walk through every day shapes us and the world we come into daily contact with. Did you know that you can be an international missionary from the comfort of your own home? Do you know that every hurt you go through can bring healing to someone else? Take a minute to think about that. Let it soak in. Have you ever heard ‘The Voice’? And no I don’t mean the reality TV show. The voice of God comes to us in many ways. Join Max Davis as he tells his story, and some others too, of how God speaks. How God revealed his purpose in life to him. How God used his own pain to shape him and to help others as they walked through similar seasons of pain. This book will give you hope. This book will challenge you to push through your own boundaries. I’m thrilled to be able to offer one of my winners a chance to win a copy of When Jesus Was a Green-Eyed Brunette! To enter follow the directions in the Rafflecopter App below. The giveaway will run until December 25, 2016 at midnight. Winner will be displayed in the Rafflecopter App as well as emailed. Must have a valid email address to win. Open to US entrants only. 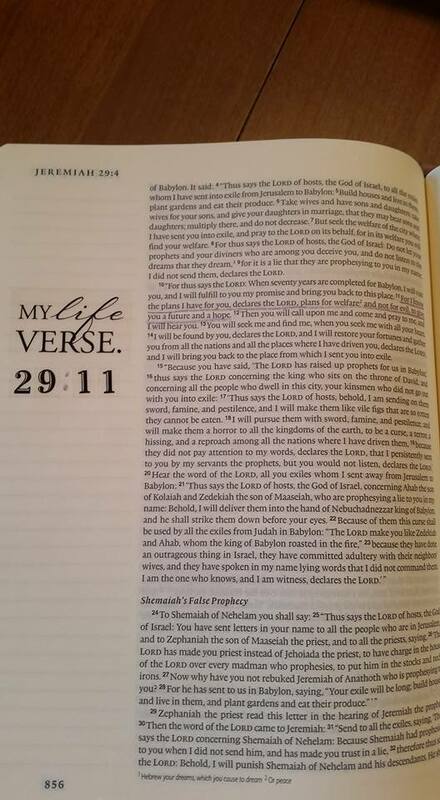 I love my journaling Bible. It’s pretty with a flower print on the outside covers. I’ve had it for nearly a year. It was a Christmas gift last year. I find Bible journaling intriguing. The act of art as a part of Bible study just makes sense to me. Still the pages of my Bible were unmarked until recently. I do a little bit of instructed painting, but I still don’t consider myself an artist by any stretch of the word. 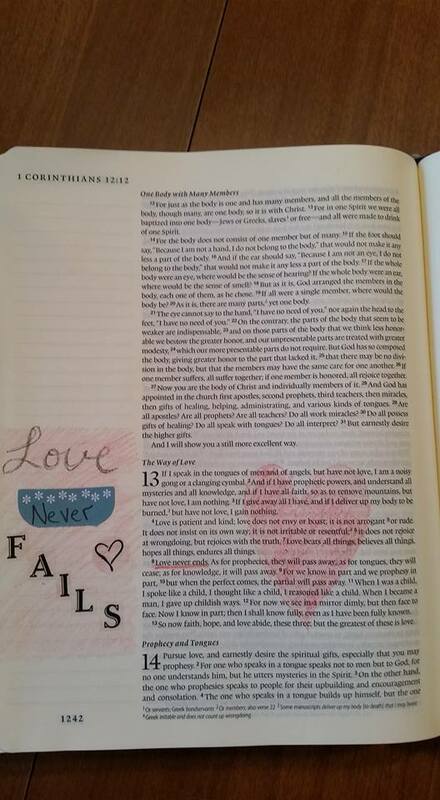 I was afraid to try to make pretty pictures in my Bible as they would inevitably not match the picture in my head. But then I got the chance to try out this Bible Journaling Kit! Create a work of art in the pages of your favorite Bible. Draw, color, or journal your thoughts, dreams, and prayers. Highlight your favorite verses or the encouragements that speak to your heart with pencils, stickers, and tabs. This kit takes some of the guess work out of Bible journaling. It gives you the freedom to work at your skill level, and to develop your skills at your own pace. I love all the stickers! FYI: They are easy to take off the super thin Bible pages if you don’t like where you place them. You can go super simple and just use the stickers for a page. Or you can get a little bit more complex with the tabs and the pencils. I used my tabs a little unconventionally on this page. Note: I always see people coloring whole scenes over the scriptures in their Bibles and I never quiet got that because why would they make it so they couldn’t see the words? So, I bit the bullet and colored over a scripture I know well and have pretty well memorized just to see. I even colored over it a second time to make my picture a little darker. You can still see the words just fine. 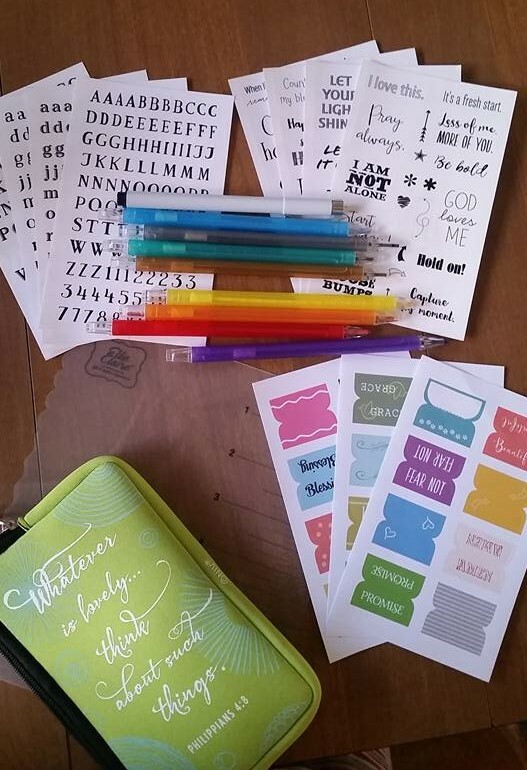 This kit gave someone who wanted to try Bible journaling, but was a little afraid of it, the tools to dip my toes in. I love the results I got. I think I might even try drawing some pictures in the future. FYI: I still practiced on notebook paper before I actually wrote in my Bible. I’m thrilled to be able to offer one of my winners a chance to win a Bible Journaling Kit of their own! To enter follow the directions in the Rafflecopter App below. The giveaway will run until Monday December 6, 2016 at midnight. Winner will be displayed in the Rafflecopter App as well as emailed. Must have a valid email address to win. 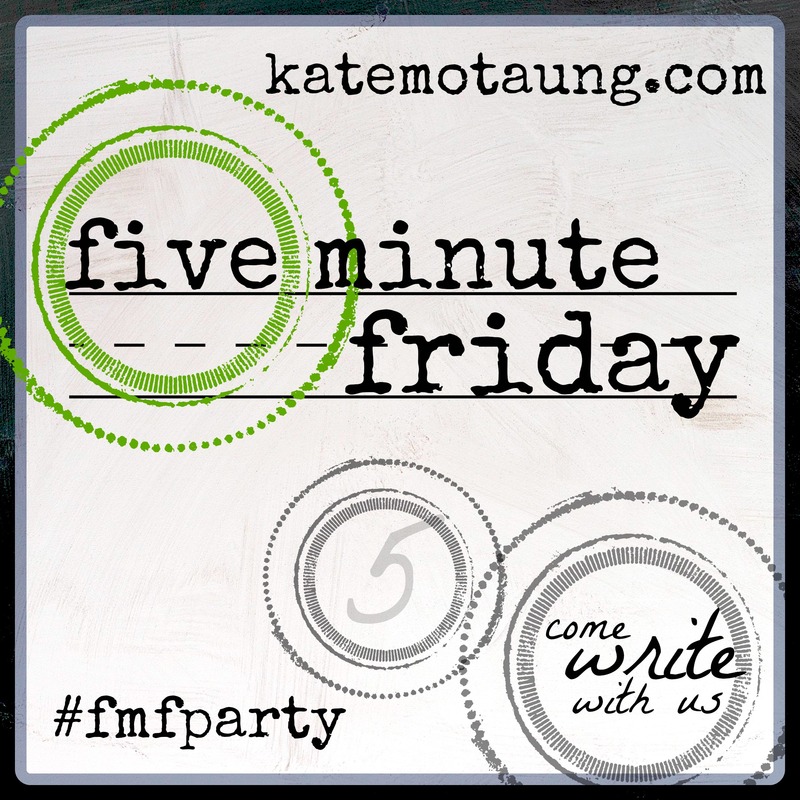 Open to US entrants only. If you don’t win my giveaway you still have a chance to win! The publisher is giving away 5 sets over on their site. You can enter that giveaway here. There are also some printable coloring pages available there for you if you would like them! You can also purchase a kit here. A new book from W Publishing Group/Harper Collins asks you to consider the all-important mother/son relationship in a new way: respect, as in the mother should respect the son. Dr. Emerson Eggerichs, author of Love and Respect – a landmark book that transformed millions of marital relationships – is launching his latest book, Mother & Son: The Respect Effect. In Mother & Son, Dr. Eggerichs proposes that while showing love is important to a son, showing him respect is key to his heart, and what will transform the mother/son relationship. Of course, to a lot of people, that will sound backwards – shouldn’t it start with the son respecting the mother?? Since the importance of the mother/son relationship crosses all age/race/religion barriers, this is a topic applicable to all – regardless if they agree or disagree with Dr. Eggerichs’ method. 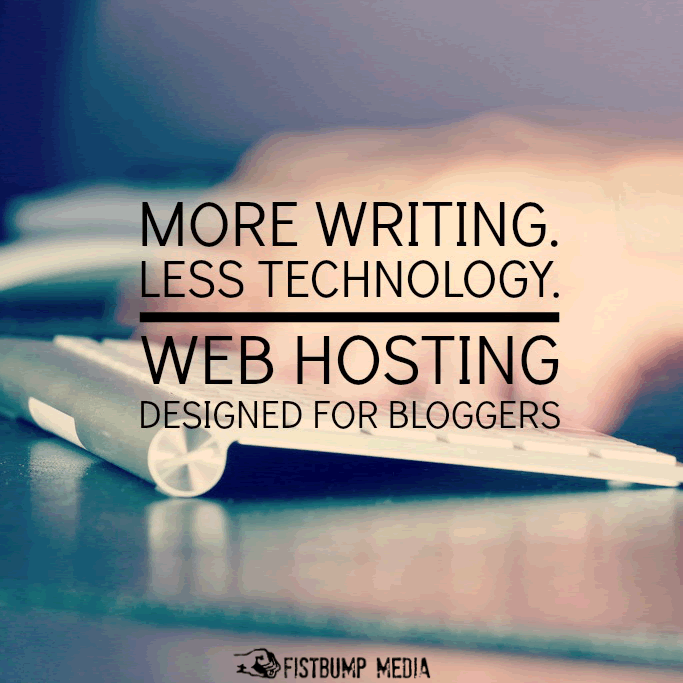 Find out more about it and get three free chapters here! Emerson Eggerichs has a BA in biblical studies from Wheaton College, a MA in communication from Wheaton College Graduate School, and a MDiv from the University of Dubuque Theological Seminary. An internationally known expert on male-female relationships, he has a PhD in child and family ecology from Michigan State University. Emerson and his wife, Sarah, present the Love and Respect Conference, both live and by video, to thousands of people each year, including groups such as the NFL, NBA, PGA, Nave Seals, and members of congress. Emerson was the senior pastor of Trinity Church in Lansing for almost twenty years, He and Sarah have been married since 1973 and have three adult children. Why are the simplest concepts sometimes the hardest ones for us to grasp? We know that men grow up from little boys. Do we also think that when they turn 18 all of a sudden they start needing different things? No, the same things that make our men function are the things that make our little boys thrive! I can’t wait to put the practices in this book in motion in my own home and see how my relationships with my little men grow and improve! I love when someone smarter than I points out how the simplest changes can create the biggest impact in my situations, and then proves it with stories of real change! I’m thrilled to be able to offer one of my winners a chance to win a copy of Mother & Son: The Respect Effect. To enter follow the directions in the Rafflecopter App below. The giveaway will run until Tuesday, June 7, 2016 at midnight. Winner will be displayed in the Rafflecopter App as well as emailed. Must have a valid email address to win.